Today's red glitter polish is yet another FAVORITE of mine. I mean, look at this baby. Doesn't she just glow?! Ladies and gentlemen (do I have any guy readers? 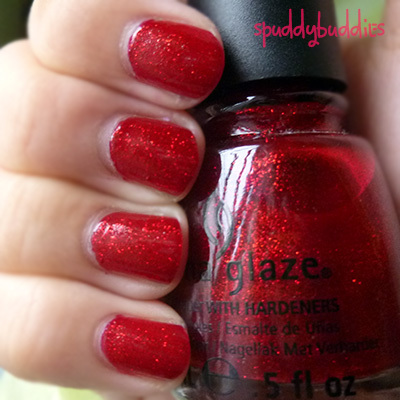 ), I present to you China Glaze - Ruby Pumps. She is absolutely delectable and I would go so far as to say one of a kind. 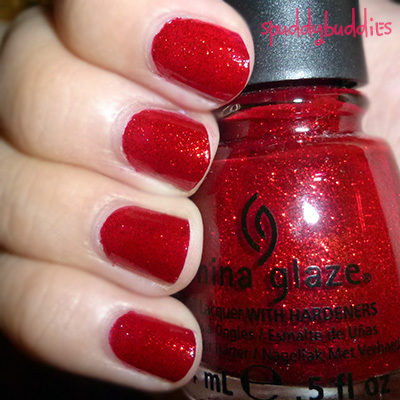 China Glaze - Ruby Pumps is a crelly red glitter polish. Crelly? Yes, you read that right. I would say jelly but somehow it doesn't really look all that jelly to me. What do you think? Ruby Pumps doesn't dry gritty like other glitters. 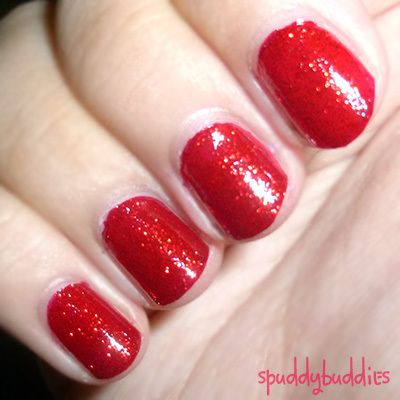 This polish dries smooth and shiny and the glitter is suspended in all that lovely red polish. I used two coats here - one coat is a bit thin - and the formula was really good. Ruby Pumps is a really subtle glitter polish and perfect for Halloween if you're going for a vampy or Dorothy-esque look. I would definitely use this red glitter for a Christmas nail design though. 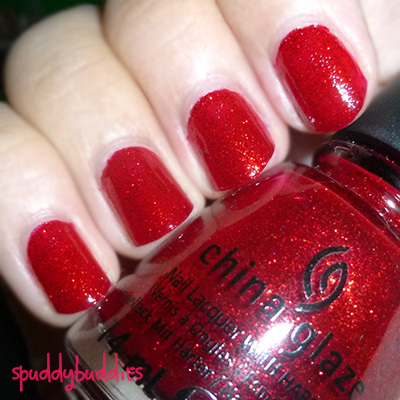 What do you think of China Glaze - Ruby Pumps? Love it? Hate it? Is red your color or do you stay away from it? Sooooo pretty! I love that! Red it not typically "my color" but I am a sucker for these glittery ones - especially around this time of year! !